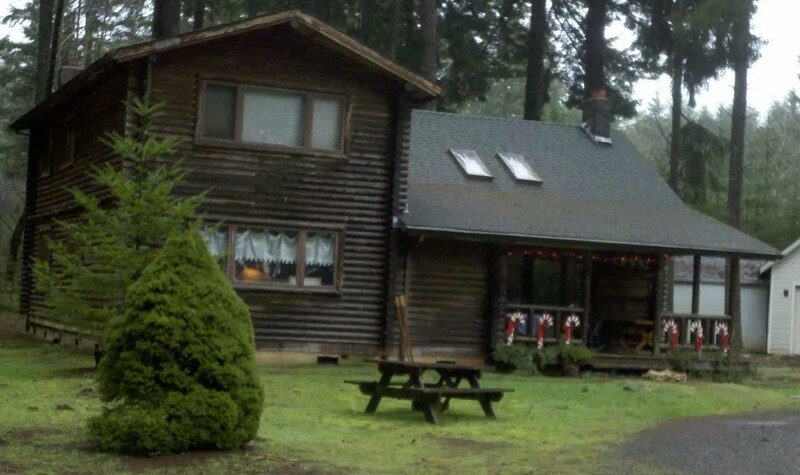 Today my Gathering group met out in daboonies of Beavercreek, in a cozy log home heated only by a woodstove. We girls gathered in the warm family room and were glad to be together. Outside was a huge pile of logs that will eventually be cut up for firewood. 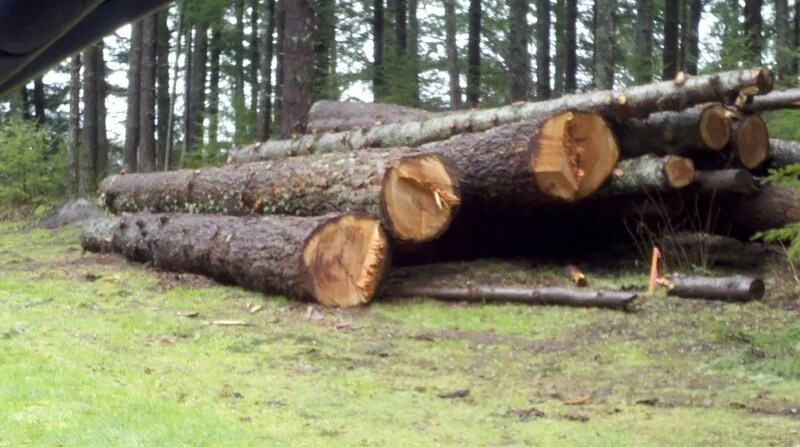 This is often how wood is delivered here in Oregon; a log truck delivers the logs and eventually the homeowner will get out a log splitter and chainsaw and cut them up into firewood, giving the wood a year to cure. I wish I’d been here to see the logs delivered! What a beautiful house, and how perfect it looks in that forest. You are very fortunate to have good friends to gather with and share the many things that goes one in your life. The only time I do that is when I make a trip to the west coast. Love the rustic cabin!